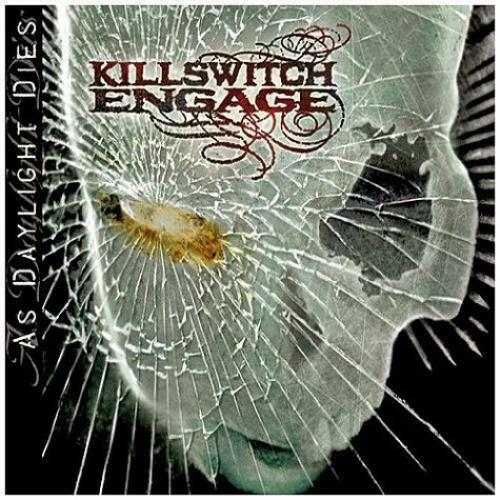 Killswitch Engage have, like many before them, the enviable task of reclaiming the commercial and critical success of a breakthrough album. 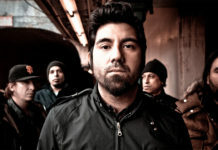 The album in question of course, is The End of Heartache, which not only cemented this Massachusetts quintet as the premiere metal band on the planet, but gave the genre a new kind of acceptance for those who wanted to blend the aggression of metal with the very unmetal-like topical nature of romance and heartbreak. Buoyed by massive singles “Rose of Sharyn” and “The End of Heartache,” the album proved that metalheads could just be as heartbroken and romantically inclined as your average Mills & Boon novel while justifying melody’s place in modern metal (and proving that not all metal bands need to sound like an indiscernible wall of noise when trying to infuse the loud with the soft). And so with its success, all eyes would turn to them on their follow-up; and two years removed, and with the lineup now firmly in tow, KSE look to, at the very least, emulate the qualities that made The End of Heartache one of the best metal albums of the past decade. Upon initial listens, As Daylight Dies has done just that- recaptured the energy, intensity, and melodic prowess of its predecessor. Dueling once again the razor sharp guitar work of primary songwriter Joel Stroetzel and guitarist-slash-producing guru Adam Dutkiewicz with the booming voice of Howard Jones, it’s no surprise that one of the album’s strongest aspects is its incredibly crisp production. Audio levels sound balanced, as the shrieks of the guitar, the percussions, and those guttural screams have never emanated so clearly. And it is the depth that the songs seem to have that makes each and every listen as urgent as their first. Something that The End of Heartache only hinted at. The album’s lead single, “My Curse,” is a tune that perfectly encapsulates the stadium-filling, anthemic nature of Killswitch Engage. Its brutal mix of relentless fury with melody is indeed something to behold … and those choruses … oh the choruses! Every chorus is like an apocalypse- grand in its destruction, but searing with the musical equivalent of what can be called “optimistic beauty.” Case in point (and the album’s finest moment), “This Is Absolution;” a true glorious punch in the face replete with blazing riffs, balanced screaming/singing, a textured blend of high and mid tempo structures, and without doubt, a chorus that can only be described as “epic.” Similarly, songs like “Reject Yourself” and “Still Beats Your Name” adopt the same kind of formula- making the album a far more consistent effort than The End of Heartache. KSE seem to have found their balance in songwriting, the perfect parts that make a well-rounded whole. 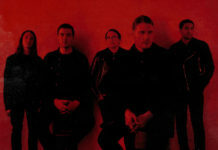 However, while As Daylight Dies is by far their most accomplished effort, it is lacking in what The End of Heartache had- one or two songs that explode far into the stratosphere of the genre the way songs like “When Darkness Falls,” “The End of the Heartache” and “Rose of Sharyn” did (save for “This Is Absolution” perhaps). And so while the weakest parts of As Daylight Diesaren’t quite as weak as The End of Heartache, its strongest points aren’t as near either. 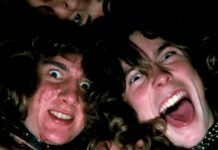 It’s a trade off in a sense, the band seem to have grown in their ability to write more consistently, but conversely, their songs do not have the same initial impact as some of their previous work did (this is a good thing in a way). Those who hold The End of Heartache as the band’s undeniable apex will ultimately find some disappointment with As Daylight Dies. It is an inevitable result of widespread success. By no means dismiss this album as a lesser product because beneath the residue left by the incredible shine of The End of Heartache rests an album brimming with the all the qualities one could ever want in a Killswitch record; and is yet another vital release to add to their truly impressive catalogue.